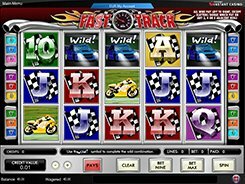 Fast Track is a racing-themed slot developed by Amaya and equipped with 5 reels and 9 fixed paylines. On the reels you will find 10-A playing card symbols shown against a chequered flag background, racing cars, motorcycles, a bonus symbol and two scatter symbols. 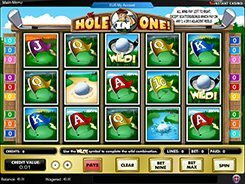 A coin value is customized from $0.01 to $5, with up to 5 coins accepted per each line, so the floor and ceiling bets are $0.09 and $225 per spin. A blue automobile is a wild symbol that substitutes for two car symbols and pays out 2500 coins if five land on a payline. There also two scatter symbols that do not initiate any bonus feature but pay out a random cash amount if 3+ matching scatters fall on adjacent reels. 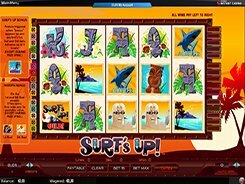 Finally, the slot has a Track Pick bonus feature triggered by three Bonus symbols and played on another screen. In the bonus game your task is to pick from several race tracks that award bonus multipliers until the “Collect” is revealed. During the bonus round you stand the chance of winning over 2000 coins if you are lucky enough. PLAY FOR REAL MONEY!